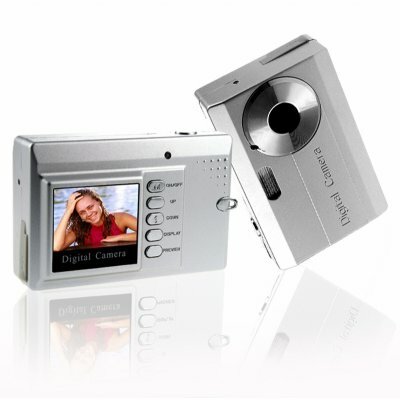 Successfully Added 2 Megapixel Compact Digital Camera - 1.4 inch Color LCD to your Shopping Cart. Digital Camera that can be used in many ways: Still Photos - Digital Video - PC Camera - Expandable memory via SD/MMC memory card. It has a 1.4-inch color LCD and can take up to 5 megapixels pictures via interpolation. Note on Interpolation: Please note that this camera takes images in sizes equivalent to 5.0 megapixels. This is through a software resizing process on the camera called interpolation. The image sensor of this camera has a native resolution of 2.0 megapixels. If you wish to make comments or reviews about this.